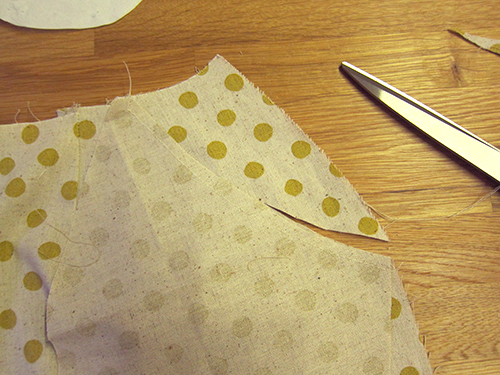 On my cutting table this week is a pencil skirt cute little pencil skirt that I'm making from the new spotty cotton light weight canvas that we got in last week. 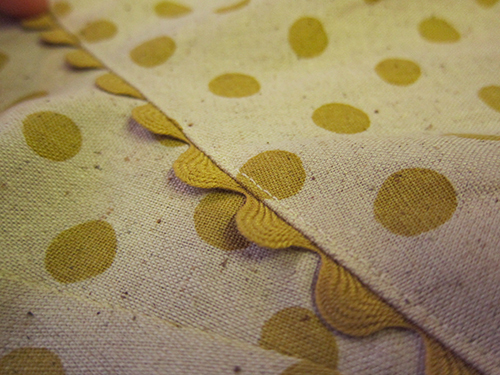 I've got a bit of a thing for mustard yellow at the moment and I couldn't resist making somthing with this fabric. I wanted a skirt to wear in the shop but I need pockets! I've always got a to do list on the go and I like to keep my phone handy too. 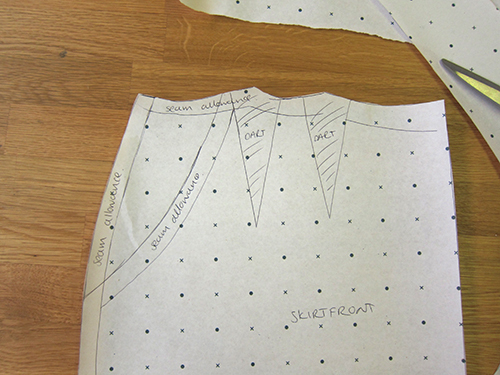 The pattern I'm using is just a simple skirt with front and back panel's (both cut on the fold) with a waist band. I didn't want to make the pockets too obvious so I decided to add normal pockets, like what you would have on a pair of jeans really. 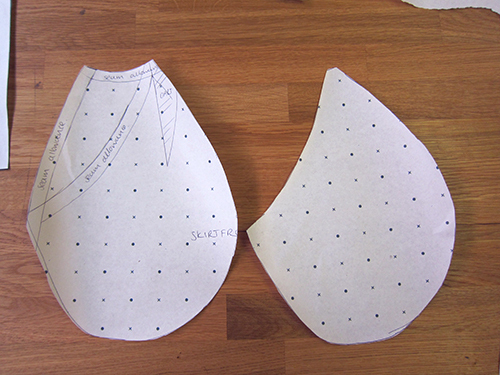 This is how I drafted my own pattern and added it in. I hadn't done it before, and wasn't really sure if it would work but I'm pleased with the results to far. 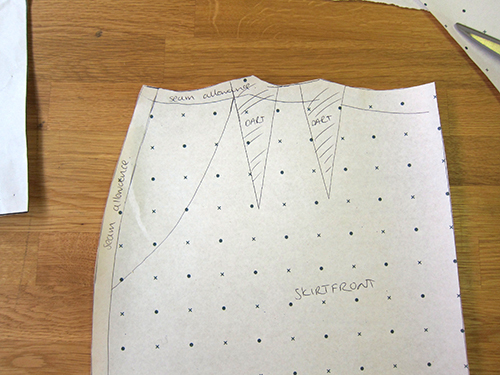 First I traced my front pattern panel piece onto some dressmakers pattern paper. Then I makred off the seam allowances and drew in where I wanted the pocket to stretch from - the waist band to the side seam, that is. 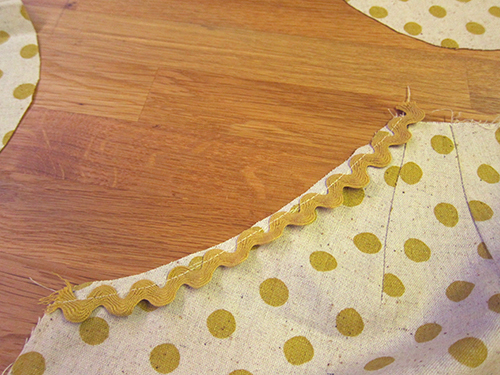 Then I added the seam allowance onto that. Then I drew a rough shape of how big I wanted to pocked to be. I suspect the skirt might be too tight fitting to want to put a phone in the pocket but I made sure there would be room for it anyway. 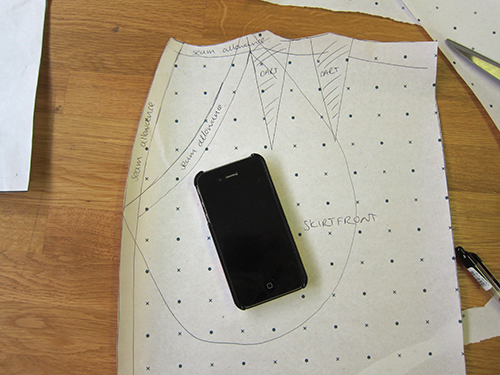 I then cut out around my curve, which gave me the pocket backing, then I traced around the curve and the line of the opening of the pocket to create the pocket facing piece. 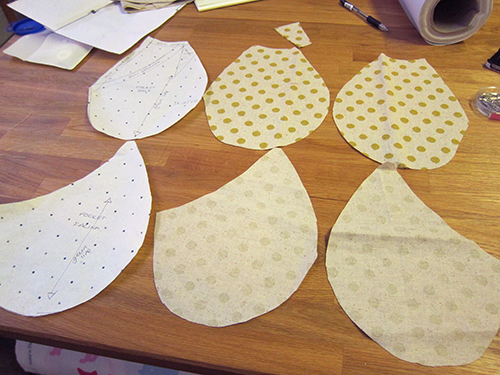 Then I cut out two of each shape, making sure I turned the pattern piece over. 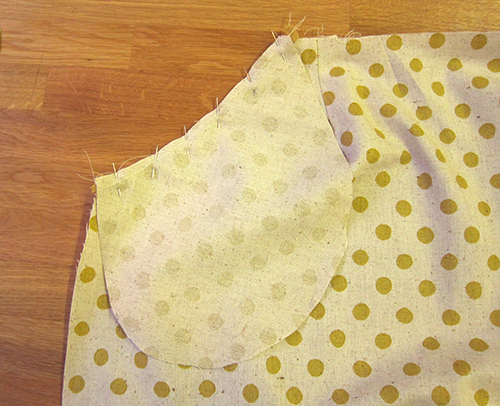 I used the dots and crosses, which had been lined up with the centre fold when I originally traced the pattern, to ensure I cut the pocket on the straight grain. 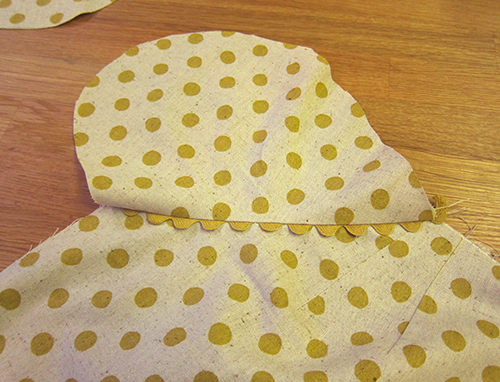 Then using the pocket facing as a guide I chopped off the top corner of the front panel of the skirt. 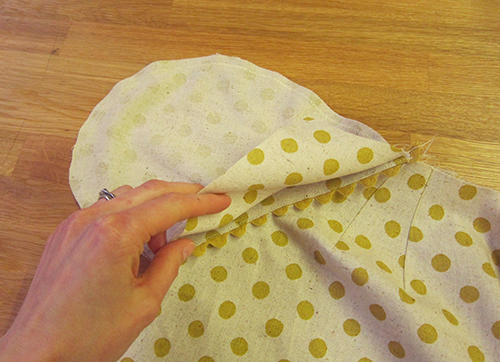 I then went straight to the sewing machine to stay stitch the pocket openings before I stretched them. 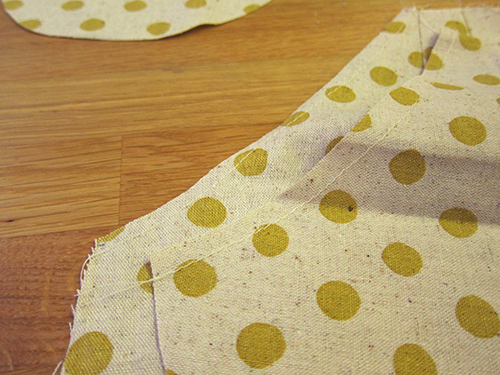 I was feeling a bit paranoid about having bulging pockets and when you cut out curvey things or things that aren't on the straight grain, its best to stay stitch them as just generally working with the fabric, not even necessarily trying it on or wearing it, can stretch the fabric out of place. I love little details and I wanted to add a bit of ric rac trim to the opening so I basted it onto the opening curve on the main skirt front panel. Then with the right sides together I stitched the pocket facing to the front of the skirt along the pocket opening, making a sandwich with the ric rac in the middle. 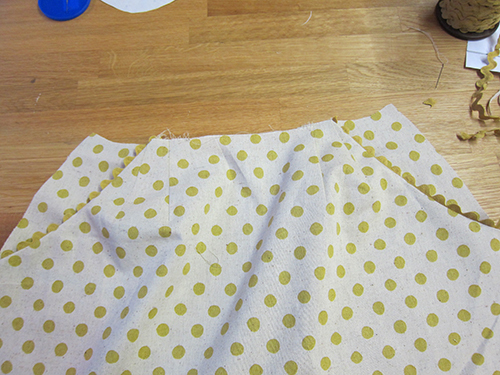 Then I pressed all the seams towards the pocket and top stitched the seam allowances together. This should hopefully help keep the pocket sitting flat at the opening. I then pressed everything and ta-da! I have two pocket inserted into the fron panel so now all I have to do it stitch up the skirt as I would have done anyway. That part is still on my to-do list so I just have this picture for you all just now.